5- STAR AMAZING BRIGHT MODERN DOWNTOWN CAMPBELL VICTORIAN ! Property 4: 5- STAR AMAZING BRIGHT MODERN DOWNTOWN CAMPBELL VICTORIAN ! 308-Immaculate Studio San Pedro Sq. San Jose! 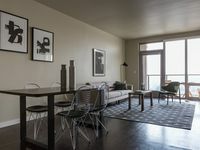 Property 5: 308-Immaculate Studio San Pedro Sq. San Jose! New 2Bd/1Ba Apartment for Business and Vacation. Super location! 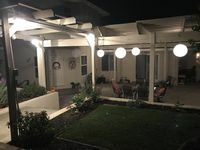 Property 17: New 2Bd/1Ba Apartment for Business and Vacation. Super location! Penthouse Hideaway walk to SAP Center, Train, and Whole Foods. Property 18: Penthouse Hideaway walk to SAP Center, Train, and Whole Foods. Property 27: Quiet Brand New Luxury Country Apartment! SPACIOUS 2 BED 1.5 BATH UPSTAIRS CORNER UNIT WITH AWESOME NATURAL SUN LIGHT. Property 43: SPACIOUS 2 BED 1.5 BATH UPSTAIRS CORNER UNIT WITH AWESOME NATURAL SUN LIGHT. Spacious 2BR Urban Flat w/Pool/Spa + Gym by Levis! Property 44: Spacious 2BR Urban Flat w/Pool/Spa + Gym by Levis! Spacious Urban Flat - Contemporary Design 5-Star! Property 48: Spacious Urban Flat - Contemporary Design 5-Star! Very nice unit. After the cleaning fee, a bit pricey, but if you are splitting the cost between four people, it&rsquo;s reasonable. I loved staying here! Amy is so sweet and helpful, and thank you Chance for helping me haul my luggage to the suite! The space is much larger than it appears. Immaculate, with all the amenities one could wish for. The kitchen is well stocked, and the bathroom is large and luxurious. One of the best experiences I've had. Thank you Amy and family!